The resignation of Klaus Maier as Mercedes-Benz head of global sales and marketing and the promotion of Frederick Banzet to head Citroen brand prompted management reshuffles at the two automakers. At Volkswagen, group production head Jochem Heizmann has had his burden lightened after Hubert Waltl was promoted to take on Heizmann's duties as head of VW brand production. Former Audi apprentice Hubert Waltl is the new head of production and logistics for Volkswagen passenger cars brand. Waltl gets top VW brand production job. Waltl, 51, takes over from Jochem Heizmann who will continue his responsibilities as VW AG's management board member in charge of group production. Waltl joined VW in 1973 as an apprentice at Audi and worked his way up through various management functions in the areas of tool and die and production planning at Audi's Ingolstadt and Neckarsulm factories in Germany. In 2007, he was appointed manager of VW group tool and die operations as well as head of body shop planning and tool and die operations for the VW and Audi brands. Waltl is an academic engineer as well as a trained toolmaker and mechanical engineering technician. Daimler AG has appointed Peter Alexander Trettin as head of sales for Mercedes-Benz cars in central and eastern Europe, Africa and Asia, effective October 1. Trettin will succeed Joachim Schmidt who will become head of Mercedes' global sales, replacing Klaus Maier, who is leaving the automaker for personal reasons. 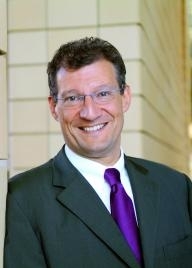 Schmidt, 61, was Mercedes' global sales and marketing boss from 1999 to 2005 until Maier replaced him. Trettin, 50, has been in charge of the Mercedes' German sales organization since 2007. Harald Schuff, 53, will replace Trettin in that role. Schuff has been in charge of the Mercedes' sales and service centers since 2006.Trettin and Schuff will report to Schmidt. 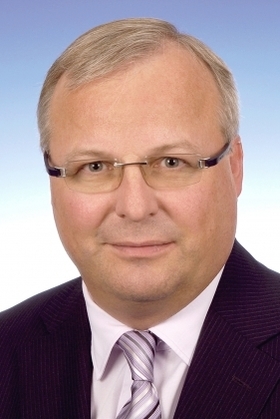 Schuff will head Mercedes' German sales. The changes happen as the German premium carmaker is hard hit by the global economic crisis and collapse in luxury car sales. Mercedes brand sales fell 17.5 percent to 632,700 cars in the first eight months compared with the same period last year. Christophe Musy will become head of European sales at Citroen starting November 1. Musy, 42, will succeed Frederic Banzet, who was appointed Citroen's managing director in June. Musy has been head of Citroen in Germany since 2007. 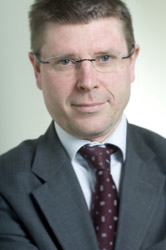 He joined PSA/Peugeot-Citroen in 1990 and has held a variety of senior management roles with Citroen in sales and distribution since 1997. Peter Weis will succeed Musy, becoming the first German native to lead the French brand's operations in Germany since 1950. Weis, 51, began his automotive career with Fiat in 1986. He has held senior sales and marketing roles at various companies and was most recently head of Edgar Kittner GmbH & Co. KG. Kittner, which sells Volkswagen group brands and Porsche cars, is northern Germany's largest dealer group.